Create folders to store our work for this unit. Understand what the World Wide Web is. 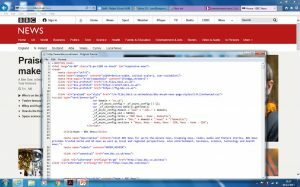 Be able to use basic HTML to create a simple web page. During this lesson you will hear the following key words. Make sure you listen carefully to the lesson as you may be asked questions at the end. Create your folder – We need to create folders where we will save the work we do in this unit. To create a new folder – click in a blank area, right click, select New, then Folder. All work for this unit must be saved in this folder. We can access Web Sites by typing in a URL (Web Address) into the bar at the top of the screen. We can also access Web Sites using Hyperlinks which allow us to jump from one Web Site to another and within Web pages contained within the Sites. This video will tell you a little about the World Wide Web and its creator, Sir Tim Berners Lee. 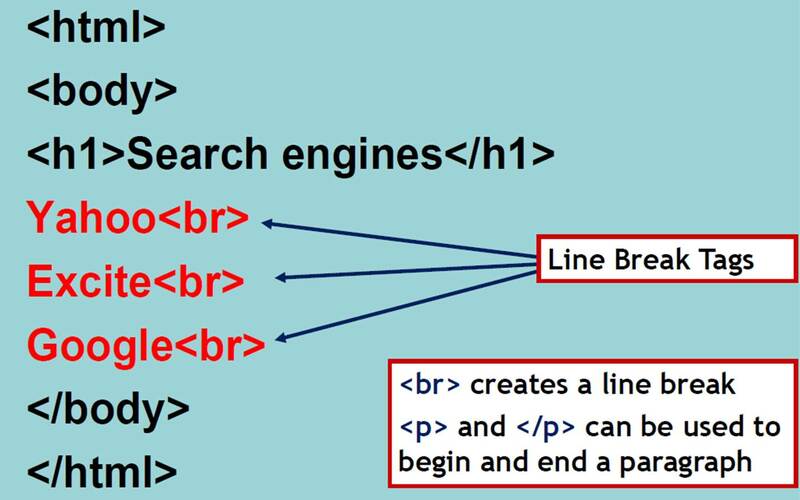 HTML stands for “Hypertext Markup Language”. 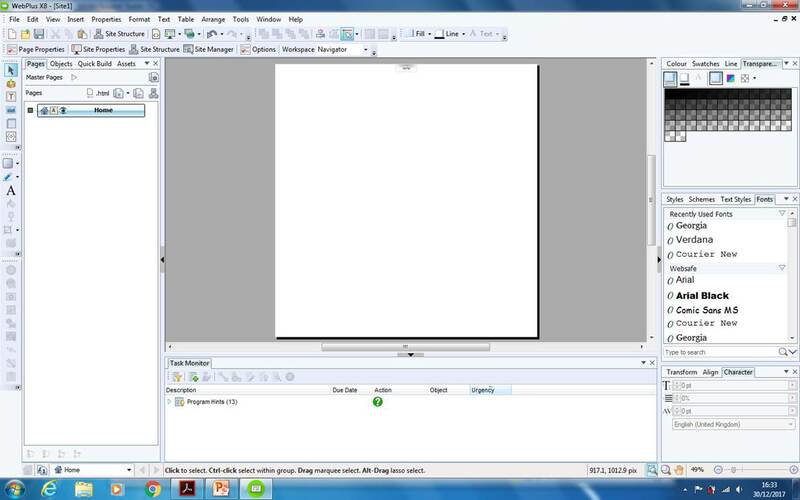 It is a form of Programming Language which is specifically used for creating Web Pages. 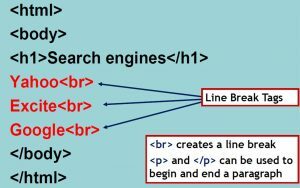 HTML is written in the form of Tags which tell the web browsers how to display the information. Create a Web Page using HTML. Use NOTEPAD to do this. Add some content with formatting. Give it a title and use headings. Type the text you will see on the next slide into Notepad. This will display the words “Search Engines” on the web page. In order to turn your text file into a HTML file you MUST follow these instruction EXACTLY. Browse to your Web Design folder. Look for your Search Engines.htm file. Keep your web page open for the next task. Tags are used to tell Web Browser how to display text and images. Tags are indicated by using < and >. Tags almost always work in pairs – Start Tag and End Tag. Tags tell the web browser how to display the text sitting between the start and end tags. Open your Search Engines.htm in Notepad, you need to right click the search engines file then choose open with Notepad. This SHOULD open up your HTML Text File. Enter the text you can see in the blue box on the next slide. DO NOT enter the same text again — just add anything you can see which is new. Save your file (do not SAVE AS, just save). The <h1> tag sets text as a heading in style 1. Valid tags are <h1>; <h2>; <h3>; <h4>; <h5>; <h6>. What effect does changing the number have? Both of these methods will load up your updated Web Page. File name should be Search Engines.htm. Save file in Web Design folder. The refresh button can be used to view any changes you make to the web page. 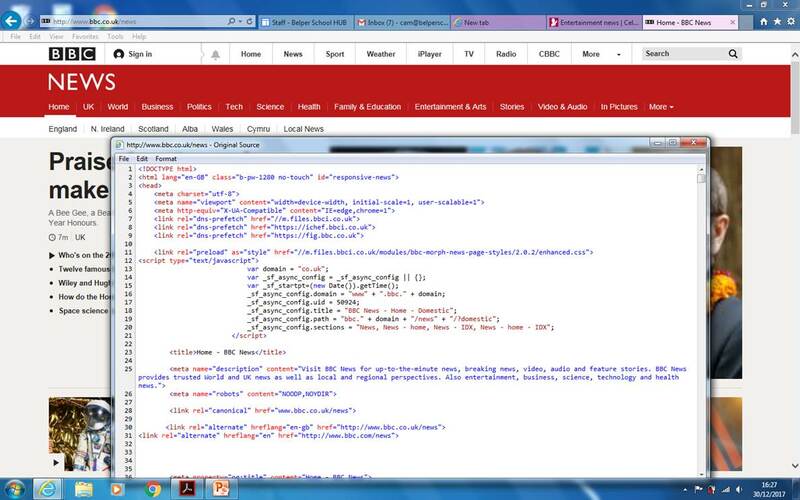 Use the following links to add more code to your web site. There is a new browser out called Vivaldi. Do a little research and find out all you can about this browser.